We had lunch at Aladdin Deli while at the Milwaukee Public Market. 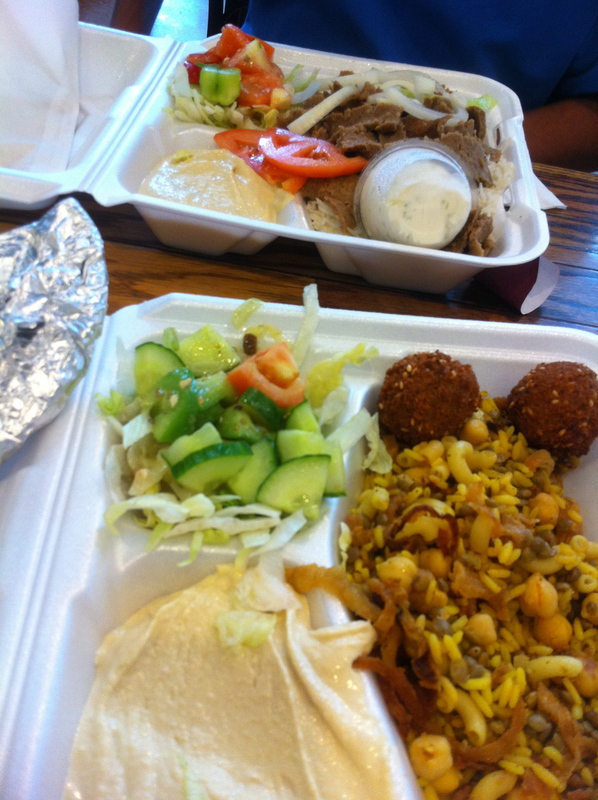 Many Middle Eastern favorites are on the menu at this fast food location. Select your choices including vegetarian selections to prepared to eat there or packaged to go. The deli counter offers portions for dinners or parties. Hummus, Egyptian Rice, Dolmas, Baklava and other specialties are available in the glass case. We had the Vegetarian Combo and Gyros plates. Both were served with pita and hummus. The falafel was crisp and hot. The Egyptian rice had lentils, garbanzos, elbow noodles as well as rice. It was an delicious combination.